In celebration of International Babywearing Week, we are offering $5 off any sustaining membership when you sign up or renew from October 1st to the 16th! Whether your sustaining membership has lapsed or you just joined last month, consider renewing now. If you Sustaining membership is still active, your renewal will extend your sustaining membership for another year beyond your current expiration date. If you have not yet joined, consider doing so today to support our chapter and help us #embraceourcommunity! Our sustaining members are the reason we are able to do what we do. We want to say thank you to all those that have joined BWIP as a sustaining member and supported us over the last 4 years. We want you to continue to benefit from sustaining membership with our chapter. Even those that may no longer need to do carrier research or whose little ones have grown and are no longer so small! Your sustaining membership with our chapter allows us to continue to provide and expand our education and support outreach throughout our community. It allows us to replenish and build up our library. It assists us in finding better, more appropriate space to continue to meet the needs of our community. It allows us to share the love with more caregivers and keep reaching more who may not have known all the benefits of babywearing. If you have appreciated having our chapter here, please consider joining or renewing your sustaining membership during this drive. 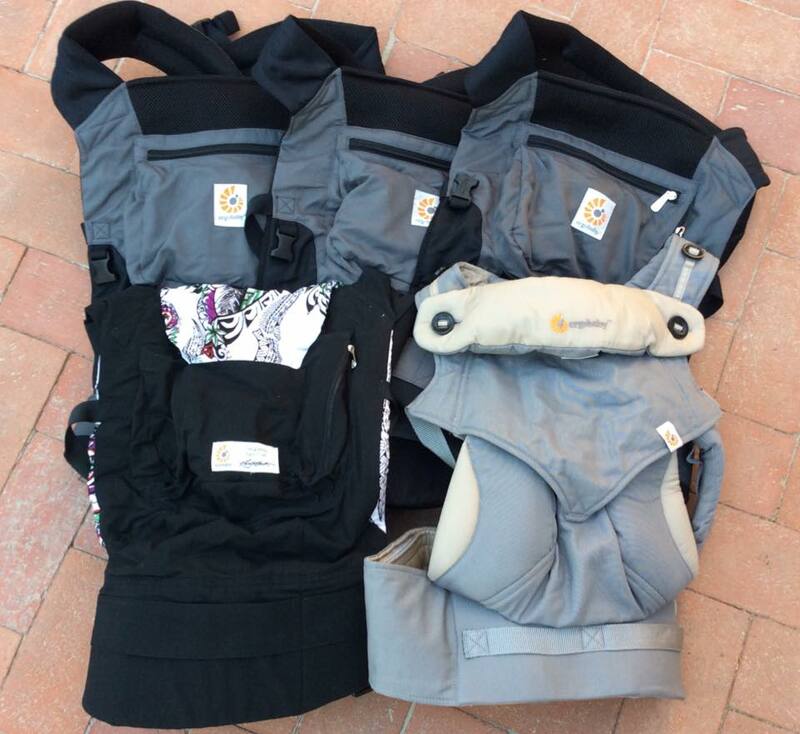 If you found our carrier library helpful on your babywearing journey, please continue to support our chapter by joining or renewing and making sure we are there for new wearers. If you just love to share the babywearing love and support, join or renew today! This special applies to any new, current, or previously expired sustaining membership renewals. Even if you are not yet up for renewal, renewing now will directly benefit our group and the extra year will be added on to your current sustaining membership (i.e. if your sustaining membership is up in Jan 2016, renewing now will extend it until Jan 2017!). What are you waiting for??? Join or renew today by emailing us or at any meeting this month! 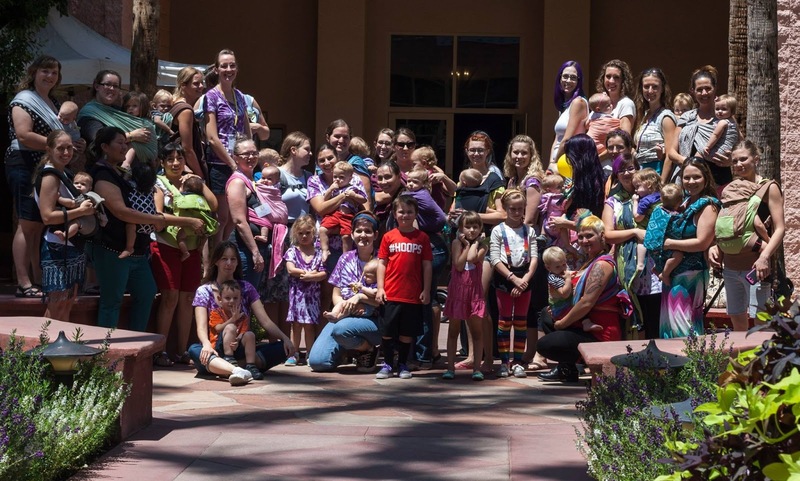 We also present Babywearing 101 to breastfeeding support groups, moms' groups, local retailers, and at other public events. We speak at 3-4 of these outreach events each month. Sustaining Membership with BWIP is $30 per year. More than half of that ($20) stays with the local chapter you sign up through to help fund the purchase of new carriers, business cards for members to hand out, and more. The other portion is remitted to the national group to help fund organization-wide literature, on-going education, and outreach, among many other things. All of the people working for this organization, from the top chairwoman to the smallest chapter leader, all are volunteers! Purchasing a sustaining membership with BWIP, along with helping to support babywearing at the local level and beyond, also has great benefit to caregivers. Your membership allows us to grow our library, expand our educational and outreach efforts, provide more appropriate meeting space (especially in summer), create informational items available to all to help spread the word about our chapter, and more. One of the most used benefits to sustaining membership is that it allows you to borrow a carrier from our lending library at any meeting for up to a month (30 days or so) at a time. Our library is present at all of our meetings, but can vary depending on what is checked out at any given time. Any carrier checked out is due at the next month's meeting in that area, or any other meeting prior to that. You are then able to check out a different carrier, and so on and so forth. You could potentially try out 12 or so different carriers during your sustaining membership, each for a month at a time! What a great way to 'try before you buy' and find out what you love! There are also sustaining member only events held occasionally throughout the year, extra incentives during our special events (such as additional raffle tickets), and wider benefits like discounts at the International Babywearing Conference held every two years in different parts of the country. All for only $2.50 a month, which all goes to help share the babywearing love in your community and beyond. Spread the word! The more members we have, the better equipped we are to support babywearing advocacy and outreach, and with your sustaining membership or renewal we will also have the ability to expand the lending library to meet the needs of our growing Phoenix babywearing community! Take advantage of this offer and show your support - join or renew your sustaining membership today!! Complete this form: https://goo.gl/N13jMY and remit your dues via pp listed in the form. Thank you so much for being a part of our community and helping to #embraceyourworld!